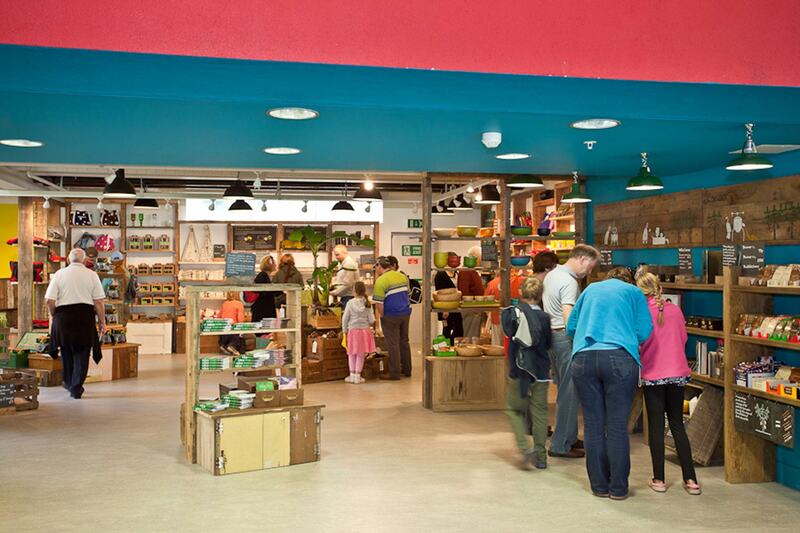 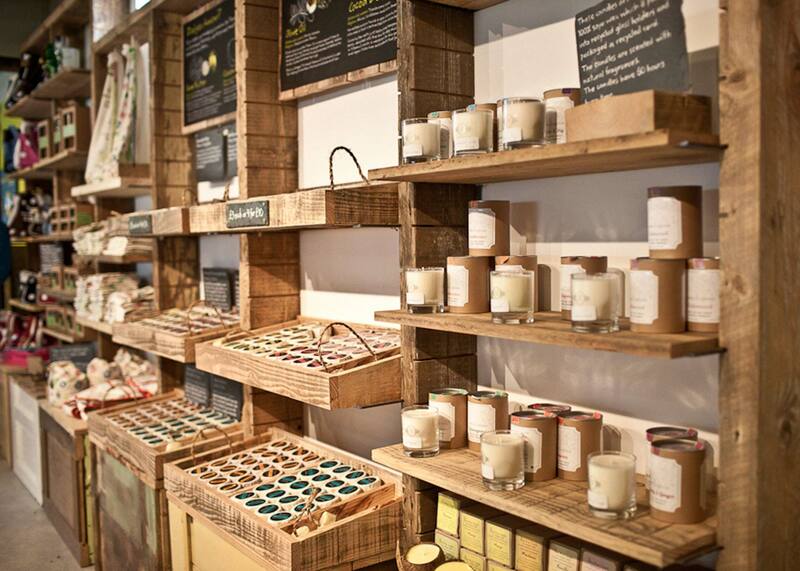 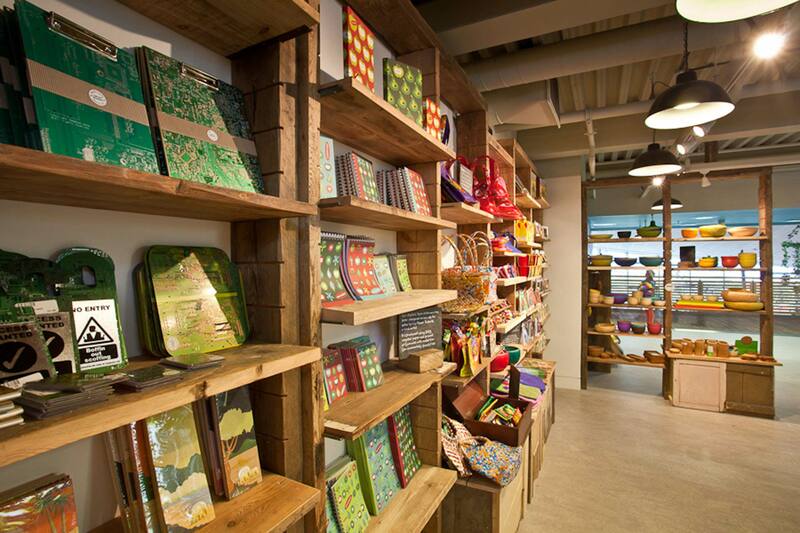 Situated in the Link building, between the two famous Eden Project Biomes and above the main restaurant area, the retail shop contains sustainable and fair trade food, gifts and clothing. 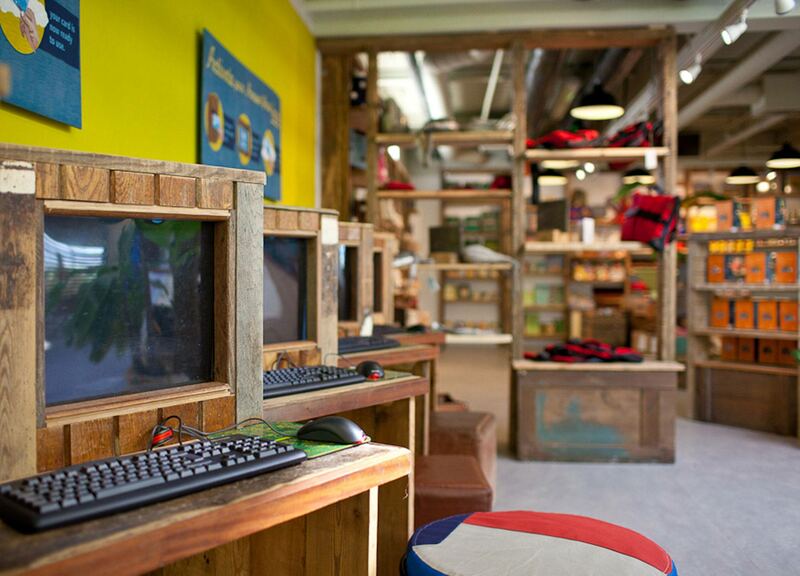 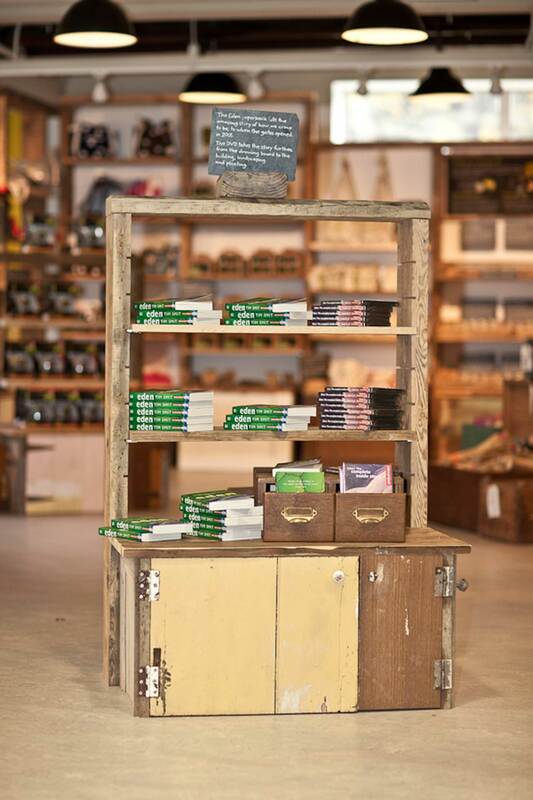 Our design focused on using reclaimed materials in keeping with the ethos of The Eden Project. 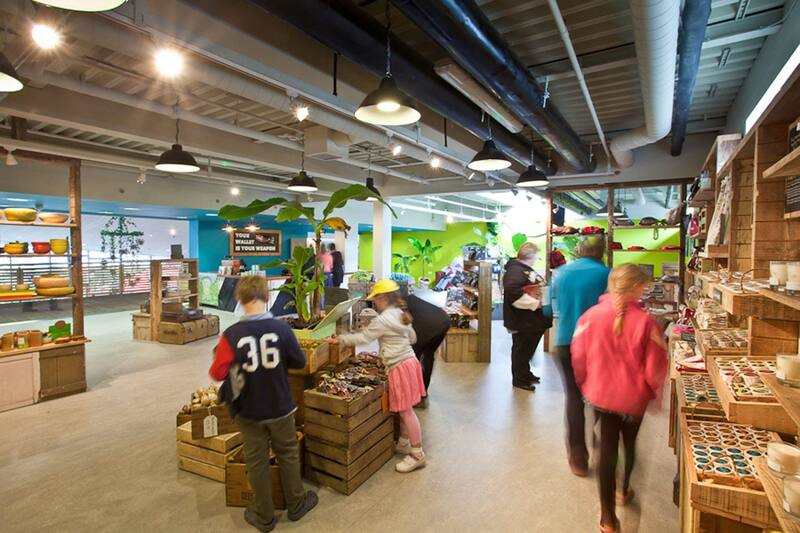 We worked closely with the in house creative team, who helped source many of the materials; this meant that the design grew organically, depending on the materials that were found. 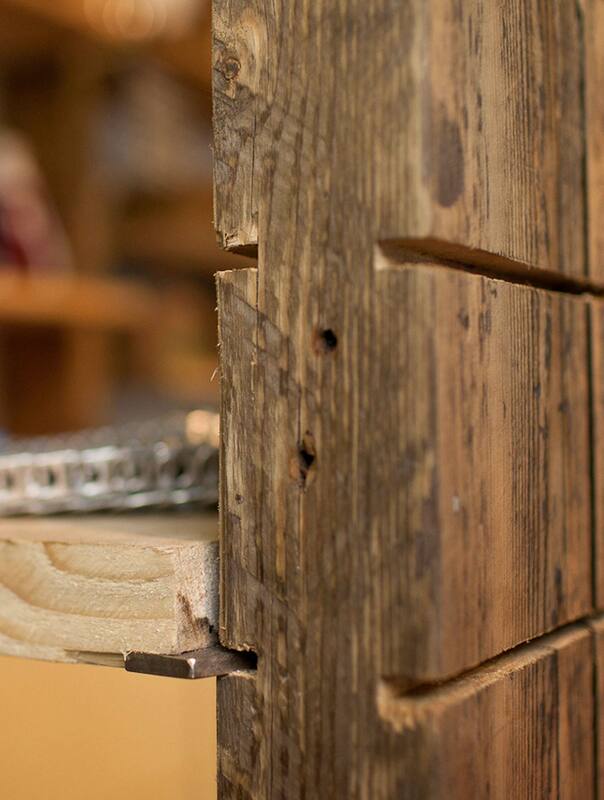 The cashier counter is made from reclaimed timber doors and an old dance floor – it even comes complete with heel marks! 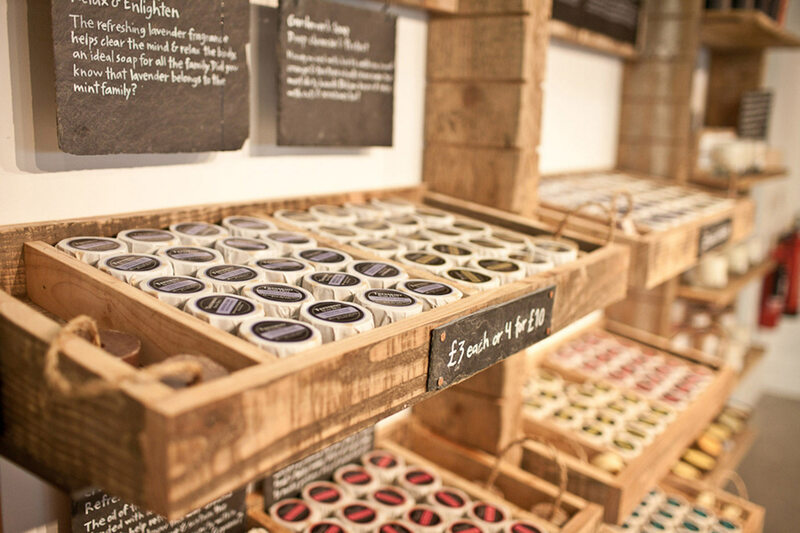 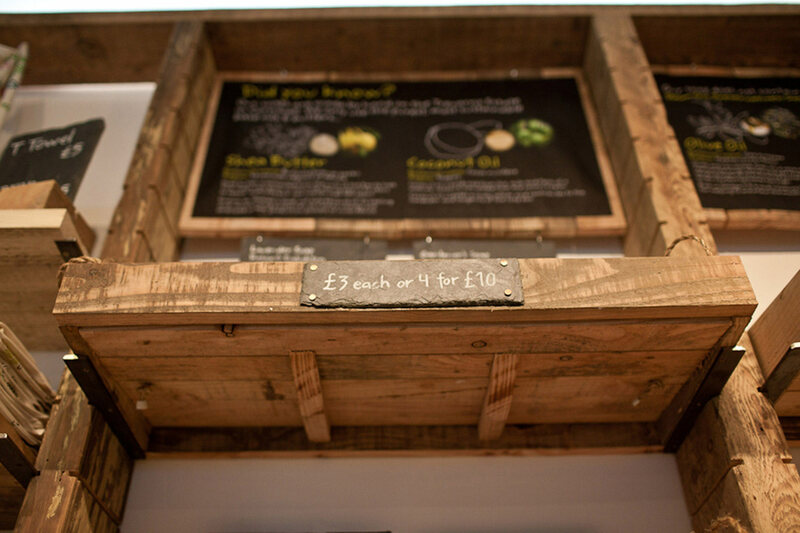 Custom made timber wall shelves, free standing units and re-purposed crates provide flexible point of sale opportunities, even the small fixtures such as the hinges are reclaimed from redundant furniture within Cornwall. 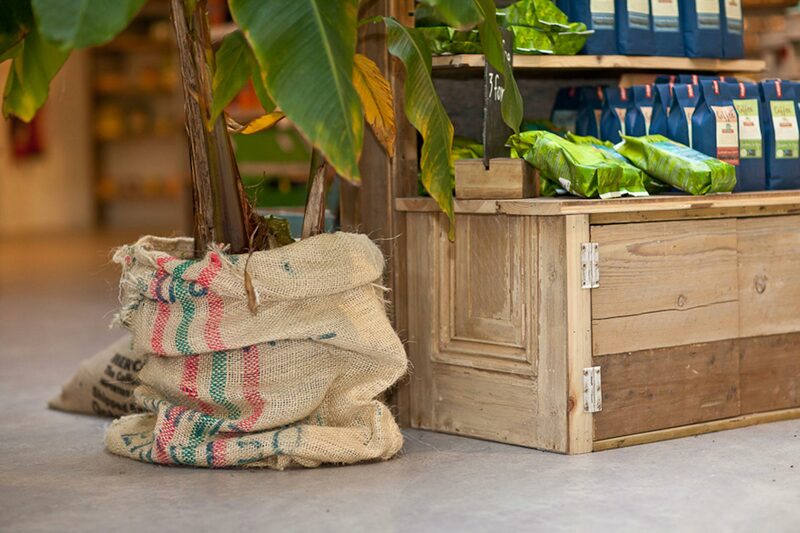 Deep teal walls and lighting, from Skinflint Design and originally used in a warehouse, highlight products and accentuate the timber.